This beautiful classic blue Middle Weight Outdoor Rug has a 1200 denier, ripstop, breathable, waterproof outer with a 200gsm Polyfill and breathable nylon lining. A multi-adjustable chest with twin buckles to create the perfect fit and trigger hooks for everyday ease. 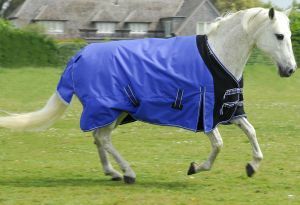 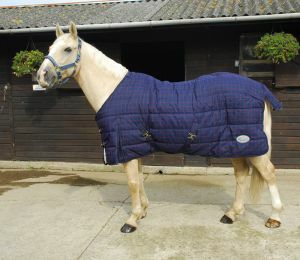 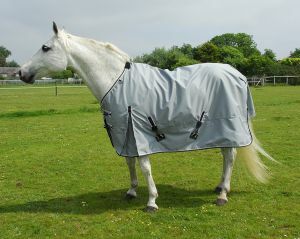 The chest panel is a waterproof stretch material to aid in the freedom of movement and comfort for the Horse. 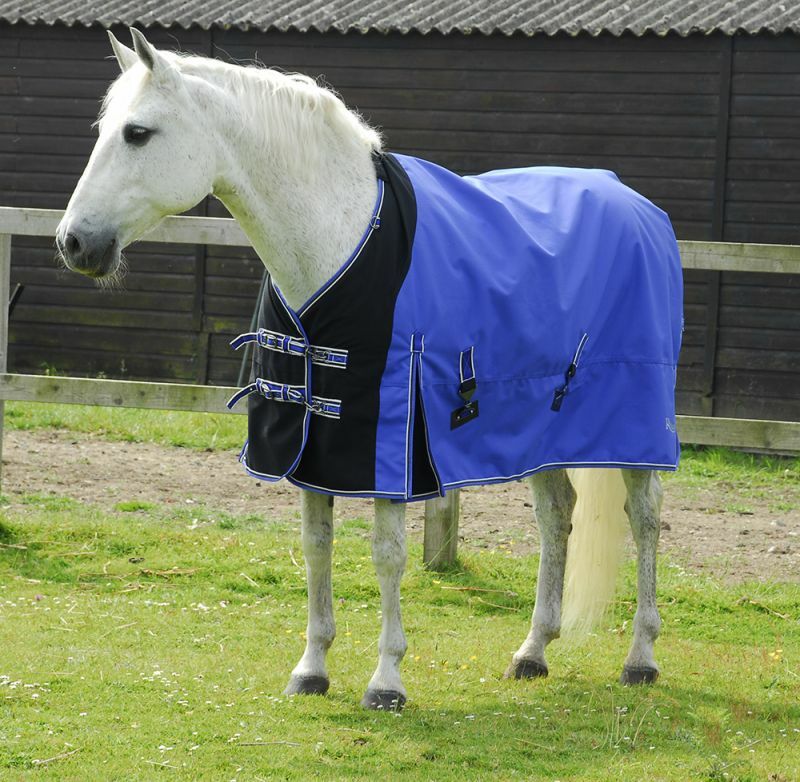 This rug also features a front shoulder movement pleat, surcingle guides and an extra large umbrella style tailguard with reflective tape. Included is a Neck Cover, also nylon lined to keep the Mane Smooth with three elasticated straps for attaching to D-rings on the rug. 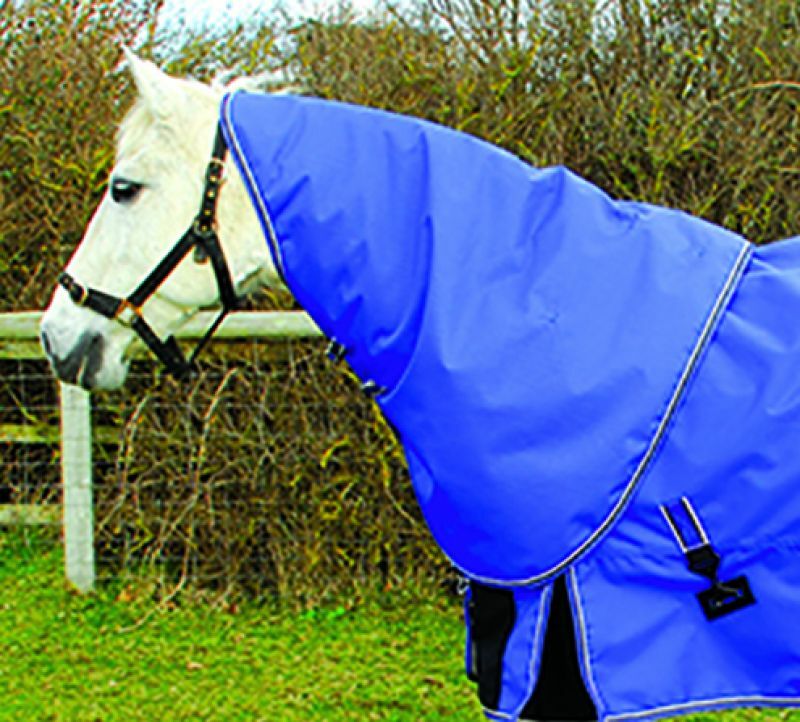 In a vibrant Sapphire Blue with tri-coloured binding.